The ‘Special Administrative Region of Hong Kong’ has always been an ‘island of entrepreneurism’ (Clinton, 2014). Historically known as a ‘market city’ (Ohno, 1992) with a prominent industrial history, the city has secured its prominence as one of the ‘Asian Tiger’. In its development Hong Kong has embraced amplifying levels of excessiveness, accepting neoliberal directives that have allowed for ‘manic’ density and hyper consumerism. Under the ‘one-country-two-system’ Hong Kong’s entrepreneurial position has come under question with the ‘emptying out’ (Yeh: 2006, Lin: 2011) of manufacturing services that has, since 1997, impacted all facets and aspects urbanity for, both the city and the Guangdong Regional Economy. A city once known for its “Made in Hong Kong” legacy through its plastic flowers industries, electronic goods and clothing, the city presently relies on a knowledge economy and ‘other’ forms of entrepreneurial endeavours to sustain its competitive edge amongst other Asian hubs. Moreover, the ever-increasing pressure placed on Hong Kong as a ‘locale of making’ by the manufacturing industries of neighbouring cities, such as Shenzhen, has resulted in the transformation of Hong Kong into an unaffordable and inflexible city. As link between the IFOU 2017 conference entitled 'The Entrepreneurial City' and the School of Design’s Environment and Interior Unit’s ‘Made in Hong Kong’ research portfolio, this interactive colloquium invites participants to challenge as well as present endeavours that current feed into contemporary urban entrepreneurism’s. Each participant will be invited to present work, research or entrepreneurial endeavours in a chosen 15 by 15 format (15 slides for 15 seconds per slide). Themes: Varies per year - 60M2 | Urban Interiority | Made In Hong Kong. As part of the School of Design’s critical enquiry on design related aspects, the ‘EID Lecture Series’ explores diverse and sometimes radical design position taken within a current spatial paradigm. Occupying a unique position in Asia, Hong Kong as a city-territorial model, is representative of highly specific urban-architectural realities generated by explicit developmental prototypes, transformation processes and new modes of urbanization. This poses a number of unique critical questions and problematics related to use, space and habitation and density with far reaching implications in terms of future aspects of urban dwelling, trends and critical design positions taken by urban, architectural, interior, landscape and urban designers. Whether overshadowed by the aspects of ‘mega’ projects or that of policy realignment for adaptive reuse, or, questioning architecture as stabilizing political dwelling mechanism, the questions become core drivers to a larger spatial discipline. The EID Lecture Series aims to bring together individuals, disciplines, questions, policies and design related themes within a framework that challenges, debates and critiques conventionality and extremes amongst peers, professionals and experts. Compulsory for all senior undergraduate School of Design students, it is open to any interested individuals. 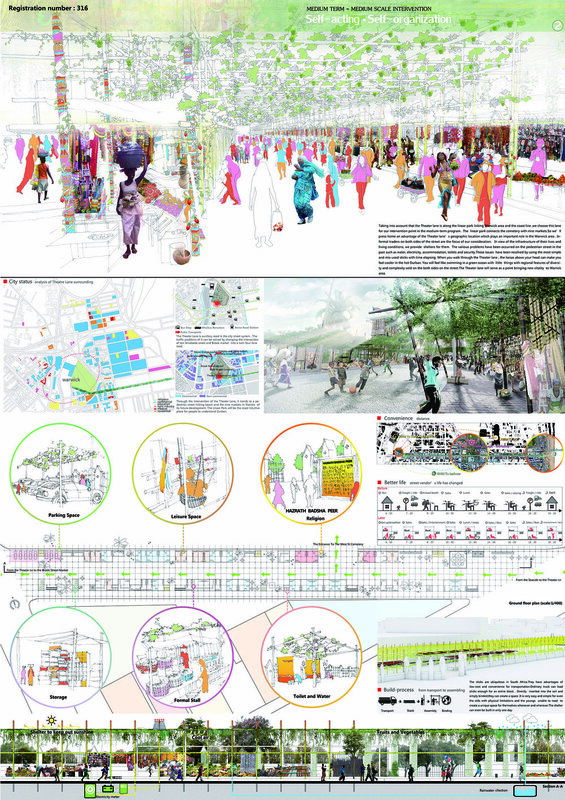 The UIA 2014 International Student Competition explores WARWICK JUNCTION, a unique location within central Durban. This vibrant transport node provides a setting for predominantly informal traders at an unprecedented scale. The competition aims to recognise the complex systemic ecology that underpins the economic, cultural and social dynamics inherent to this area, and to find ways to strengthen, reinforce or expand these systems in a beneficial way. Drawing from the three UIA 2014 Congress sub-themes of RESILIENCE, ECOLOGY, VALUES, this competition aims to explore OTHER practice, crossovers between OTHER disciplines, and an engagement with OTHER urban dwellers. The competition encourages the exposure of OTHER city layers, bringing to light OTHER views and OTHER ways of inhabiting the city - through architectural interventions, which should improve the daily experiences of urban dwellers. In addition, the fostering of a long-term collaborative relationship between the architectural profession, government, communities and relevant development partners should be seen as a key aim. Finally, the competition brief makes allowance for inspiration to be drawn from global charters and contemporary enterprises - specifically, the COP 17 Built Environment Charter. 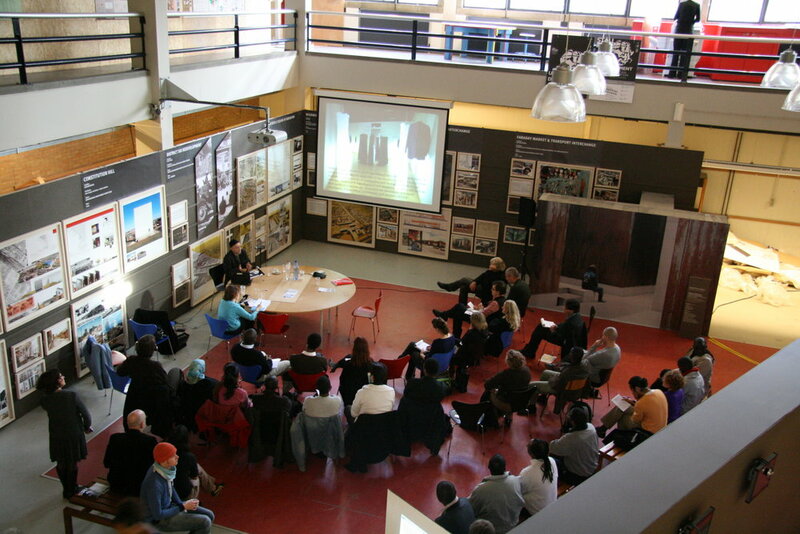 On 6, 7 and 8 December 2007, TU Delft’s Architecture Faculty will form the backdrop to a unique, international event: ‘African Perspectives, dialogues on Urbanism and Architecture’. This three-day event is a joint initiative of the Architecture Faculty and the ArchiAfrika foundation and aims to promote an inspiring exchange of expertise and experience between African and Dutch colleagues in the field of Urbanism and Architecture. The motivation behind this initiative is TU Delft’ s 165th anniversary. This year’ s theme is ‘Sustainable Solutions, focus on Africa’. This is the context for the African Perspectives event; a marketplace in which architects, urban planners and other professionals, academics and students from around the world can meet. The idea is for African Perspectives to act as a stimulus for the future structural exchange of experience with respect to architecture, urban development, housing, urban heritage and the explosive growth of large cities on the African continent. 4. African Diaspora: programme on the African diaspora in Europe. Each perspective has an accompanying programme of workshops, lectures, debates and exhibitions which are brought together at the event. The full programme can be found on www.africanperspectives.nl. The Urban Asymmetries research group, places emphasis on the analysis of the material consequences of political economy, urban policies and practices in developing regions and diverse contexts, investigating the 'thin-line' that is produced within an asymmetrical urban condition. The focus is on simultaneous, but diverting, processes from a critical angle, and using the tools available to design disciplines the analysis and research critiques mutations of contemporary urban environments. Among specific topics, studios focus on the 'formal' (as manifested in the homogenization and uniformity of large-scale, low-density housing developments that conform the majority of contemporary urban sprawl, for example, or the demand for formal difference and spectacle which dominates city centres), or assess the challenges brought about by the encroachment and consolidation of asymmetrical processes which nurture conditions in urban landscapes such as the 'informal city', ‘slumming’, incoherent peripheral formations and edge city conditions. This studio deals with these and other phenomena from a perspective that includes more than the architectural and urban domains alone (in scope, program, and scale), extending the investigations to encompass other disciplines and fields as well, such as sociology, urban geography and urbanism. In other words, we theorize architectural and urban action, investigating and exploring a wide range of possibilities that may function as alternatives or counter-proposals to the present urbanization trends occurring in cities. IFOU CONSULTANCY (ICON) found its roots within the extensive expertize network of the International Forum on Urbanism (IFoU), a non-profit foundation and think tank, established in the Netherlands and operational since 2004. As a foundation the IFOU represents a platform, the material realization of collaboration between foremost Asian and European universities as leaders within the fields of urbanism, research and urban development. Years of debate within the IFOU framework, and in view of the need of knowledge exchange on spatial development within the more critical global context and non-occidental urban development has rendered visible the demand for an integral approach with regard to urbanism. In line with this, as well as in order to bridge the gap between ‘knowing’ problems [problem identification] and providing solutions, IFOU CONSULTANCY (ICON) advocates an approach that specifically seeks integral urbanism [urbanization] framework. Integral urbanism can be defined as a two-sided tool, expressed through [a] research and [b] design. At first it is necessary to utilize research and design, by introducing research-by-design and design-by-research concepts into the spatial development and the profession of urbanism.